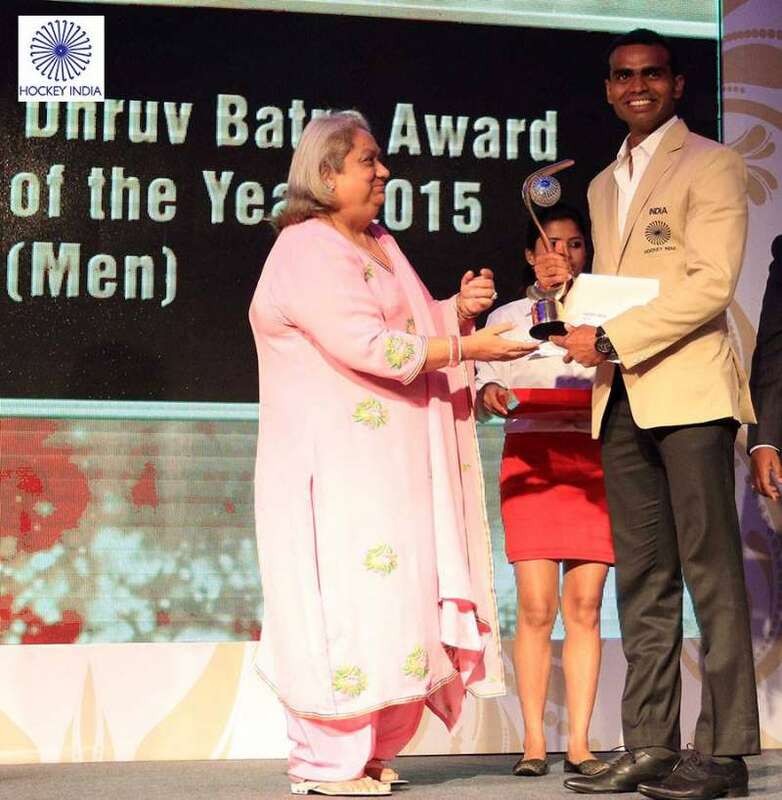 Indian international PR Sreejesh is honoured to be conferred as the Dhruv Batra Player of the Year 2015 at the recently concluded Hockey India 2nd Annual Awards held in Bangalore. The 27-year old custodian has been the prime reason for the rise of Indian hockey in the last couple of years or so, he has impressed everyone by his amazing reactions and agility at the goal line to deny the opposition teams the pleasure of scoring a goal against a very compact Indian hockey side. On winning the award, Sreejesh said, “It’s a great honour for me to be chosen as the Hockey India Dhruv Batra Player of the Year award. I dedicate this award to all my coaches, family members and friends who have encouraged me and pushed me to give my best to hockey. 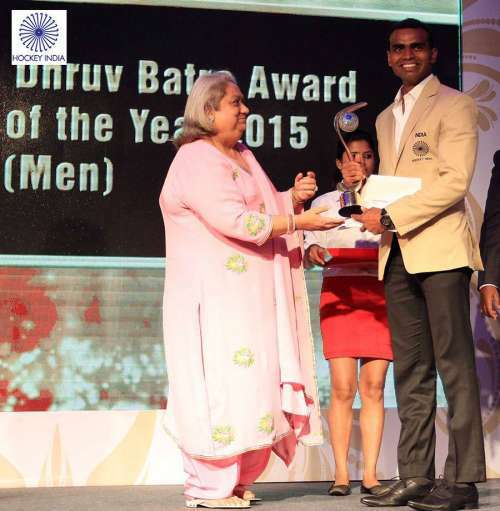 I hope this award will encourage youngsters to play the national game in right earnest,” as Hockey India reports. At the 2015 Hockey World League semis in Raipur, he produced his finest performance to date against the Dutch national side in an important Bronze medal clash, where the Indian side emerged victorious following a penalty shoot-out win and thus ended India’s 33-year medal drought at the FIH Tournaments. After nearly three years of major competitions, Indian hockey team’s first-choice goalkeeper PR Sreejesh has been rested, with chief coach Roelant Oltmans deciding to give second-choice Harjot Singh and youngster Akash Chikte a try-out instead during the Azlan Shah Cup next month in Malaysia.